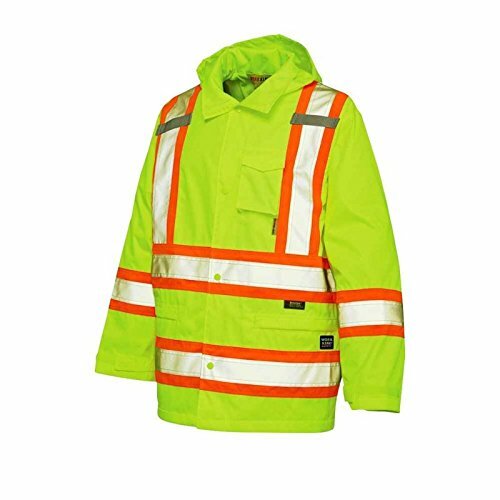 Safety Rain Jacket. 100% polyester rip-stop fabric with PU coating. Fully sealed seams. Multi pocketed design. 3M Scotchlite reflective striping with 4" contrast backing. ANSI 2 compliant. If you have any questions about this product by Work King, contact us by completing and submitting the form below. If you are looking for a specif part number, please include it with your message.